So. Deep Sea Wines offered me the opportunity to drink some, and tell y'all what I think. I was offered two bottles of wine to review, the red, and the chardonnay. Now I am by no means a wine expert. My preference tends to be towards red wines, unless it's hot and summery, in which case I'll go for white, tending towards chardonnay. I know for a fact that I don't like chianti or port, but beyond that, meh. This isn't going to be the J. Peterman of wine reviews, is all I'm saying. 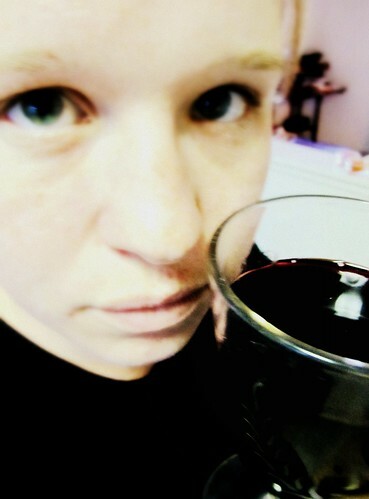 So, I started by drinking the red, which I managed to do quite entirely and satisfactorily over the course of a weekend. The red was deep and rich, without being at all overwhelming. It was smooth and easy to drink, and would go well with dark chocolate or fruit. If I'd ordered it at a restaurant or bought the bottle myself, I would have been pleased. My next project was tasting the chardonnay. The chardonnay fell somewhere between fruity and buttery. It was dry, but not overly so. Light, easy to drink, tasty. It was like the chardonnays that I tend to like, and I recognize that's a total fail in terms of technical description, but there you go. My friend who was drinking it with me liked it too! I would buy the bottles myself, and I would be pleased. Readers can get 30% off their Deep Sea Wine purchase by entering the code CORK at checkout! I was given my wine free of charge. I was not financially compensated for my review. A discount on wine? Oh my GOSH, now I totally want it. Even though I'm part of a wine club. Even though I already have two 5% off thingies for Bevmo. GOSH. Can we have this sent to our hotel room at BlogHer??? ?